We love how easy it is to look good when dressed in Chef Works apparel. Check out our top 5 picks ! BERKELEY CHEFS BIB APRON. We love the street-meets-rural vibe it has going on. You might recognize it on our Feast On chefs at the 2018 Terroir Rural Retreat! 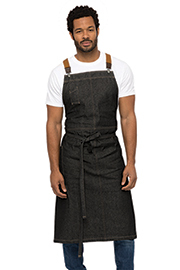 The Chef Works Urban Collection is meant to be practical and yet fashion-forward, inspired by emerging trends with gourmet food trucks, fusion cuisine and rising culinary chefs. BOWTIE. To the front of house we go! 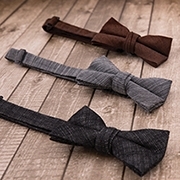 These cute bowties add a touch of sophistication when greeting and serving guests in your dining room. MARRAKESH WOMEN'S CHEF COAT. Inspired by the kitchens of Sonora, Mexico, the Marrakesh will make any lady chef feel like she's looking classy. This is a fashion-forward coat that flatters the feminine form. With a flattering crossover collar, figure enhancing darts and flared hip opening, this single-breasted, coat redefines chef coats. MANHATTAN DRIVER CAP. Take a trip back to the Gastby era! 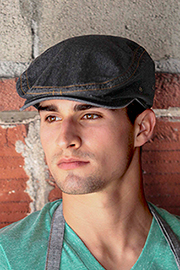 On your bartender or sous chef, this edgy newsboy cap fits right in in a casual setting. GINGHAM DRESS SHIRT. We love that this gingham shirt can either be dressed up or down depending on your style of restaurant. Maybe add one of the bowties above! Newer PostReserve Is Expedia’s Exclusive Reservations Partner in the U.S.